Gotta Love that Nose Art! Nose art is the art form found on many Allied Forces bombers and fighter planes, and WWII was the golden age. Squadron insignia was painted on aircraft in WWI in wild and varied ways but true nose art began in WWII with the pasting of images from “mens magazines” on the fuselage of B-17 Flying Fortresses.It was a short step from there to painted images, and the further from official eyes the plane was based, the racier the image, aircraft based in the South Pacific were ‘hotter’ those in England. There was an industry painting these images, and the artists received up to $15 a plane. Early on, the aircrews had more freedom to alter their aircraft, and the powers that be saw it, though not officially sanctioned, as a way to boost moral, a survival technique in a world where death was just around the corner. Light hearted distraction, a show of pride and enthusiasm, call it what you will, young guys, generally under the age of twenty, saw some comfort in the images used. 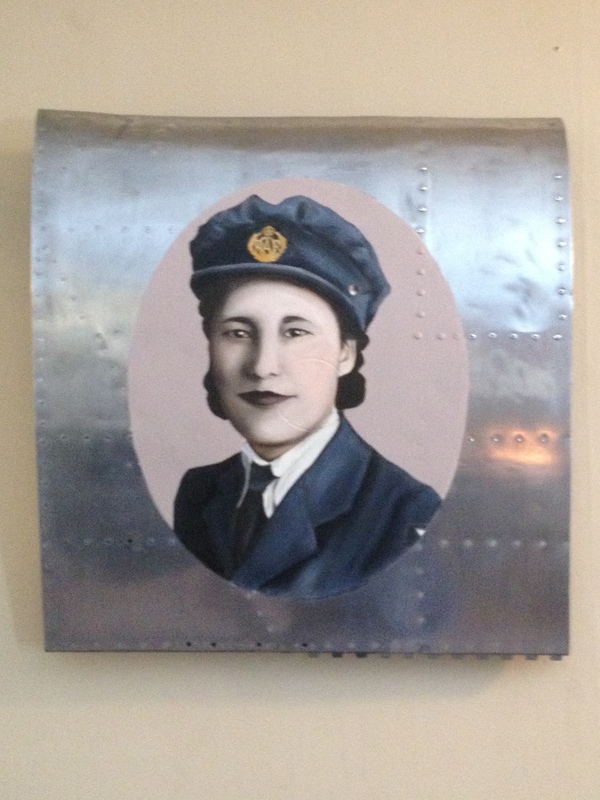 Anne Hayward, a member of the American Red Cross Aero Club in England and a painter of nose art, challenges the idea that nose art was degrading to women or others: “Its purpose was worthy, to bolster military morale in a terrible time. The members of each crew came to feel that their plane and their painting were somehow special and would bring them luck, a safe return from hostile skies. The art may have been frivolous at times, but it was never anti-social” (Ethell, pp. 120-121). The images–often patriotic and sometimes propagandistic–showed the all-out American effort to fight the good war. Sources for the images – Esquire Magazine and ALberto Vargas’s images were the pin ups of the day. Comic strip characters from Terry 7 The Pirates for example, were also common, L’il ABner provided MoonBeam McSwine. Images of Movie Stars, Rita Hayworth for example, were a third source. Disney cartoon characters were a fourth. 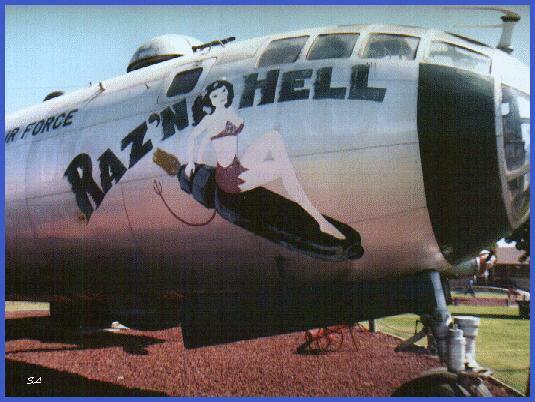 But it was the pin-up that became the most recognized image for nose art. 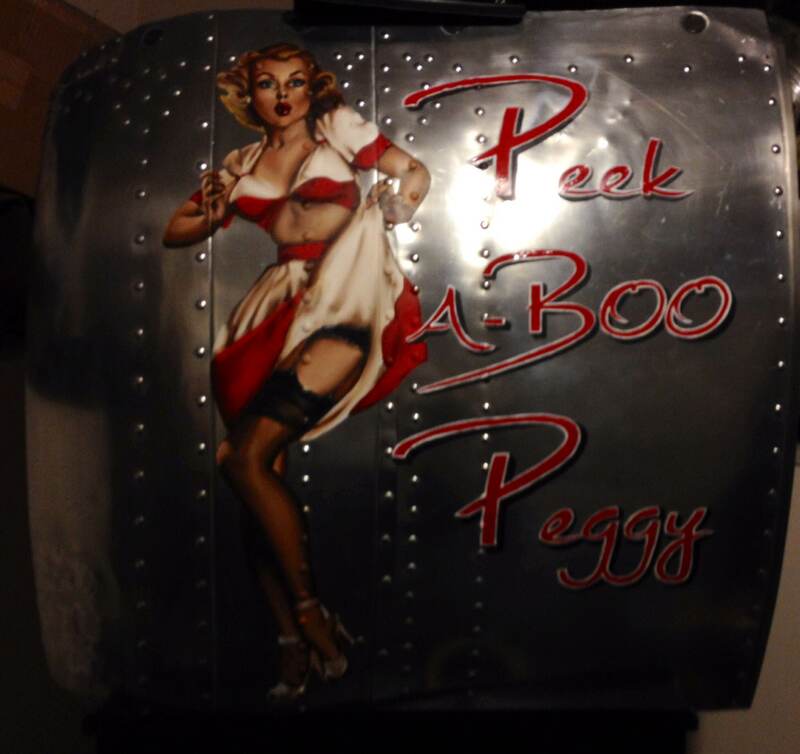 Nose art’s portrayal of women was free-spirited and daring. The navy and marines restricted what could be placed on their planes, but the army allowed more freedom of expression. Army Air Force Regulation 35-22, of August 1944, signed by the Secretary of War, authorized decorating any air force equipment with individual designs and, indeed, encouraged it as a means of increasing morale (Ethell, p. 25). The tradition continues today and Dave Hubrechts of www.SmokinRivets.com is keeping it alive with his nose art recreations, painted by Kiri, a Calgary artist, trained at the Alberta College of Art and working to commission. 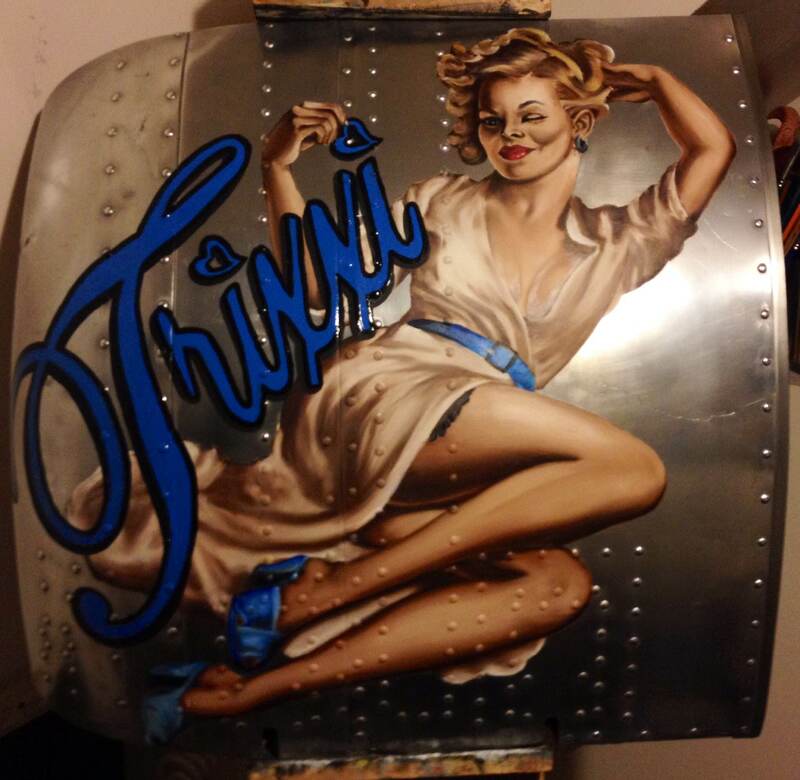 Each piece is painted on an authentic WWII aluminum aircraft panel. If that isn’t worth hanging in the man cave, then I am not sure what a man cave is!.